If you are looking for bargain or discount fares for bus or coach travel within New Zealand, there are a number of things you can do. 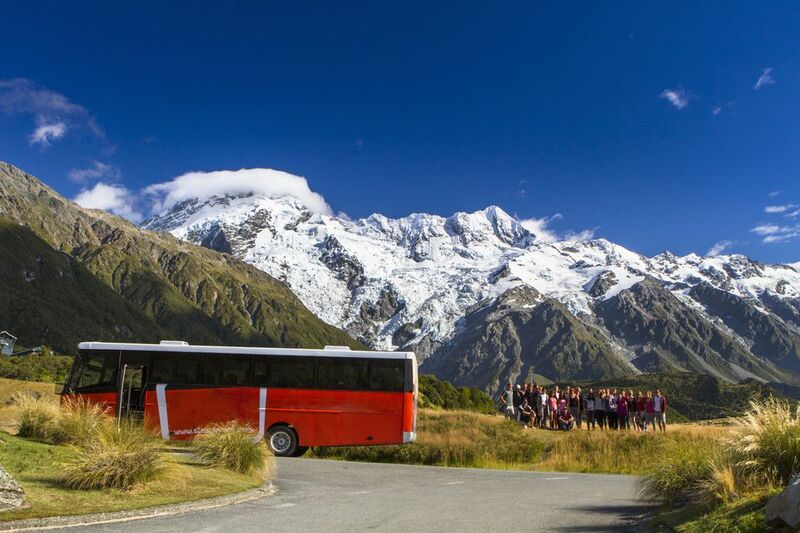 Traveling by bus or coach is one of the best ways to get around New Zealand. Not only will it be comfortable (the vehicles are usually very modern), but you will get to see more than in a car, you will meet some interesting people—and you'll learn a lot about the country (including a few jokes!) from the driver, who is usually a very personable Kiwi bloke. Although bus transport is the cheapest way to see New Zealand (apart from walking and hitch-hiking), it is possible to save a lot more with a bit of knowledge and clever planning. Here are some tips that can ensure you strike some bargains on your bus and coach travel through the country. At least one coach company offers a $1 fare on all their routes. The idea is that there is at least one $1 ticket on each trip. It's not actually as difficult as you might think to book this, as many travelers aren't aware of it (obviously there will be more now!). The tickets are released at least three months in advance so the trick is to keep an eye on the company website and also sign up for their email newsletter to be notified when the tickets become available. The company which usually offer $1 fares is Intercity. The company also regularly offers special deals on top of the $1 tickets. Rather than book single trips, you can make significant savings by purchasing a travel pass. These allow you to plan your own route with a predetermined number of stops. There is a wide variety of passes available, of differing lengths and covering different parts of the country. They work out to be a lot cheaper than buying tickets for each leg of the journey individually. These companies also offer very good discounts on accommodation and activities. This might be a bit of a long shot but it's always worth checking out TradeMe, the New Zealand online auction equivalent of eBay. People sell everything you can think of on here, and it might just include a bus ticket (or even an air ticket) that you could use, at a bargain price.